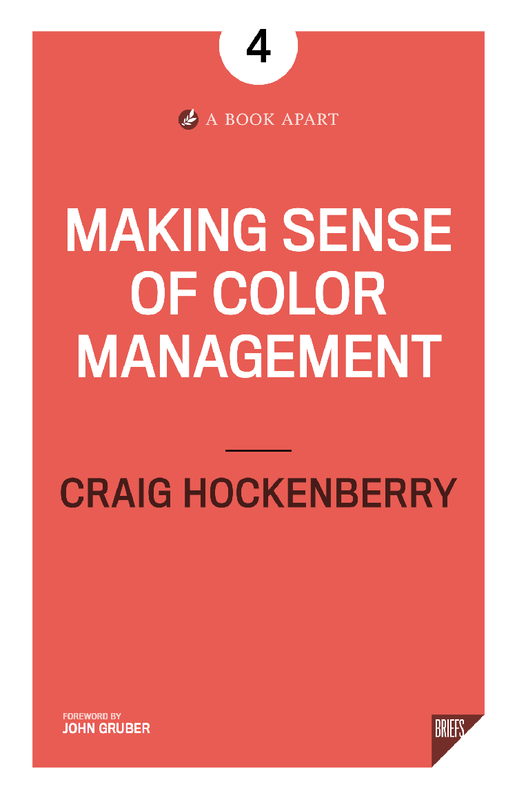 After over two years of work, my book on color management is now available for purchase. People I know and respect are saying some really nice things about my writing. It makes me happy when doing hard things pays off. Previously, I’ve written about how displays are changing and how color affects the things we build for these devices. Whether you build on the web, or with native apps, your work in the coming years will be affected. You can learn more about the book at the Iconfactory. For years, engineers and designers have mostly stumbled through color management, understanding it ‘just enough’ to ship an asset to the web or an app. As devices move to wide color, a deeper and more practical understanding is vital, and Craig’s book provides exactly that. In fact, I’ve put his advice to use for Instagram. As a developer, you might be interested in taking a look behind the curtains at the book’s mini-site. You’ll find additional articles, new markup for the web, and sample code for both iOS and macOS. The book provides essential background for these examples, but it will give you a taste of what you’ll be learning. I also have some more advanced code examples for iOS in the works. If you work with raw pixels in bitmaps, process photos with Core Image, or do analysis with vImage, this will be right up your alley, so stay tuned! To bring long-term value for clients, companies need to continually reinvent themselves. This quote comes from an IBM announcement that it was selling its PC business in 2005. IBM’s business was moving towards services, and it was less dependent on hardware sales. But it still needed hardware to provide services for its clients. The deal let IBM focus on its future. Lenovo got the ThinkPad brand, engineering talent, and a sales channel. This was one of those rare win-win scenarios they teach in business school. Apple is no stranger to reinventing itself. 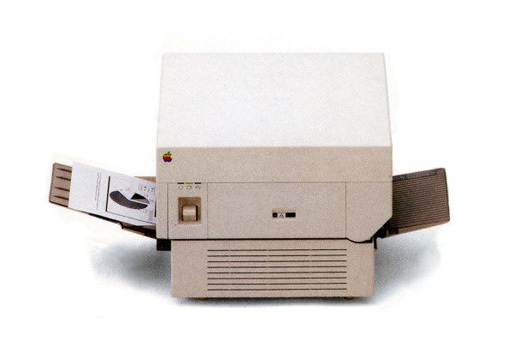 Thirty years ago, it was selling a $15,000 printer. It was a beautiful device that produced stunning output. It launched the desktop publishing revolution and established Adobe as a central figure in the software ecosystem. And today you can’t buy a printer with an Apple logo. Someday soon, we’ll look back wistfully at those beautiful displays Apple used to make. With the announcement of the new LG partnership and displays, we’re seeing another part of Apple’s business being outsourced. Maybe it’s time that Apple does the same thing with the Mac Pro business described by Marco Arment. Like IBM, Apple is in a bind. Its future and the bulk of its revenue depend on mobile devices. Yet we can’t make these products without the horsepower provided by the Mac. Besides Apple’s own internal needs, there are many professionals creating content for mobile devices. These folks need fast and capable computers to create apps, music, and videos. We all need powerful Macs to enrich the mobile ecosystem. John Gruber said it best, “It’s the heaviness of the Mac that allows iOS to remain light.” But will iOS pick up this heavy load by the end of this decade? I don’t see it happening with my own work. Licensing just the operating system was a disaster for Apple. Professional customers don’t have the time to build and maintain their own Hackintoshes. Any partnership to build Mac hardware would need to be structured so that it benefits Apple, the partner, and customer alike. Just like IBM and their clients have benefitted from Lenovo. The popularity of Stickers was no surprise to us. What did surprise us was that these graphical elements are a hit with customers who have vision difficulties. In retrospect, it makes sense. You want to let friends know that poo is hitting the fan even if you can’t see well. As always, Apple has thought about making their products accessible from day one, and the new features in Messages are no exception. But it doesn’t work like you’d expect for the default apps created by Xcode. Take Parakeet’s excellent Snacks collection as an example. What would you expect to hear VoiceOver say with this configuration? Congratulations if you said “Bacon P-N-G Accessibility Label”. Technically, that’s the “same” as the Bacon.png file that was dragged into the Asset catalog, but it’s not what you or your customer expects. When you add “Bacon” in the Accessibility field as well, it’s read correctly and everyone wins. As you know, you can’t have too much bacon. As for our own Sticker packs, we implemented custom view controllers and don’t suffer from this particular problem. We have identified some other small accessibility issues throughout our work and will be issuing updates soon. Parakeet will also be updating their release with improved labels. If you’ve released Stickers for iMessage without Accessibility labels, we suggest that you do the same.